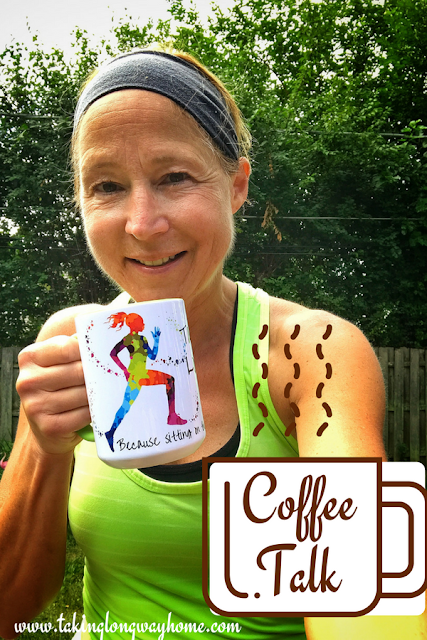 Even though the past couple of weeks have been a whirlwind for me, I always have time to sit down and chat over a cup of coffee! Today I'm having coffee with Holly. How fun is that? What will you be having in yours? It's been cooler so I'm back to hot coffee with half and half. Always with a spoonful of GLG Collagen. Let's all catch up and talk about what's happening off the road! If we were having coffee, I'd tell you all about my fun Wisconsin weekend with my son and his girlfriend. We celebrated his birthday in Madison while we were there for his college orientation. We ate all the cheese curds and I drank all the Spotted Cow. Then there was fun in the sun in Door County. I was exhausted. I kept begging off activities but they insisted on me coming along for everything. I finally drew the line when they wanted to go mini-golfing after dinner. I'm sure they wanted some alone time, right? Or did they want me to pay? Do you know how hard it is to keep up with 2 teenagers? I also took a pass on this. If we were having coffee, I'd also tell you how my son's girlfriend lost her phone in the lake. No fault of hers, she had her phone wrapped in a beach towel on the picnic table. Out of nowhere, a giant gust of wind blew in and lifted the towel up off the table. Her phone flipped out the towel and flew into the rocks that line the dock. She and my son were floating on a raft and saw it happen. We looked for it in the water and the rocks, tried calling it...but to no avail. If we were having coffee, I'd remind you about what a weather nerd I am. On our way home from Door County, we came upon the craziest cloud formation. You could see the rain pouring out of it. Since I was driving. I asked my son to take a picture of it. We drove through it and I can't remember the last time I drove in such heavy rain! Anyhoo, when we got home, I posted the picture on local weatherman and super nice guy Tom Skilling's Facebook page. I was excited to see our photo on the evening news! If we were having coffee, I'd tell you about the last 2 books I read. Baby Teeth sounded intriguing. It's about the worst little girl you can imagine. She hates her mom and loves her dad and she plays them against each other. The parents also have their issues. I didn't like any of the characters, which made it a tough read. But I had to see what happened to this family. The other book, Tell Me Lies, is about a toxic relationship between 2 college students. They can't seem to shake each other. The book fast forwards into the future. Once again, I didn't like either of the main characters but I had to see how it all played out. Now onto some light, fluffy reads. Or as Sarah at Sarah's Bookshelves calls them, "palate cleansers". Good or bad, sometimes it's hard to get a book out of my system. If we were having coffee, I'd tell you that I'm sharing a cup of coffee with my Weekly Wrap co-host and waterskiing partner in crime, Holly! I can't believe that 2 weeks ago, we spent the weekend together in Chicago and here we are in Alabama. I just got here last night and we're planning our adventures as we speak. 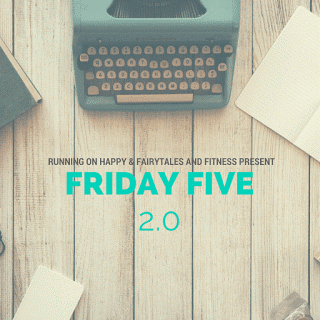 Hopefully, we'll squeeze in a little running too. What would you tell me over coffee? What have you been reading lately? Any fun adventures with teenagers you want to share? How do you keep things "fair" with your kids? 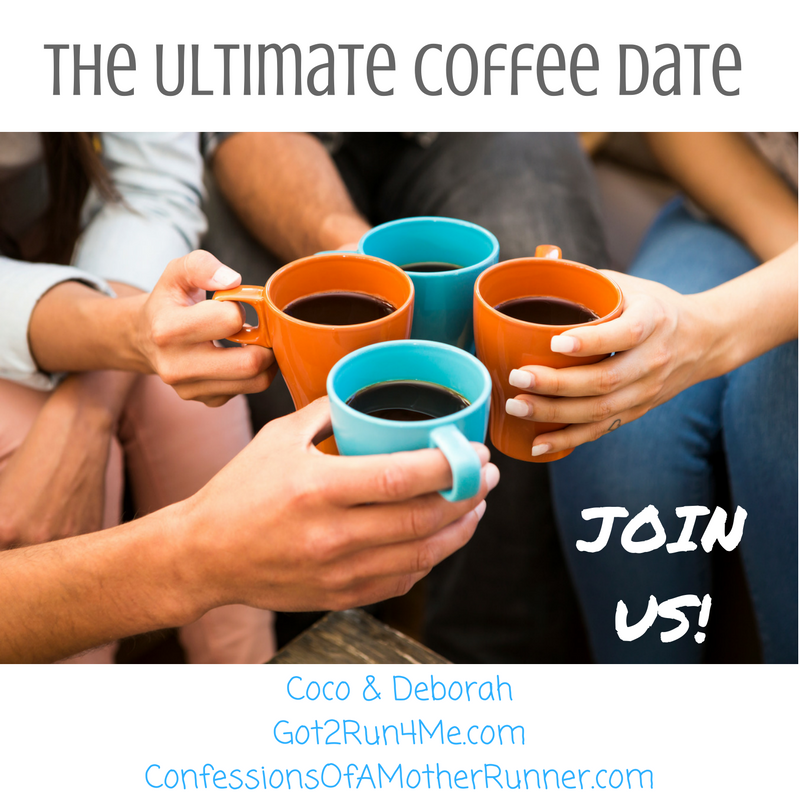 I'm linking up with Running on Happy and Fairytales and Fitness for the Friday Five and Coco and Deborah for the Ultimate Coffee Date! Can't wait for those waterskiing videos. Instead of reading lately, I've been binge watching Nurse Jackie. Empty nesters but my hubby is a big kid. He drives off those cliffs. Not me! My parents love Nurse Jackie! I can't watch it because I work in the profession! 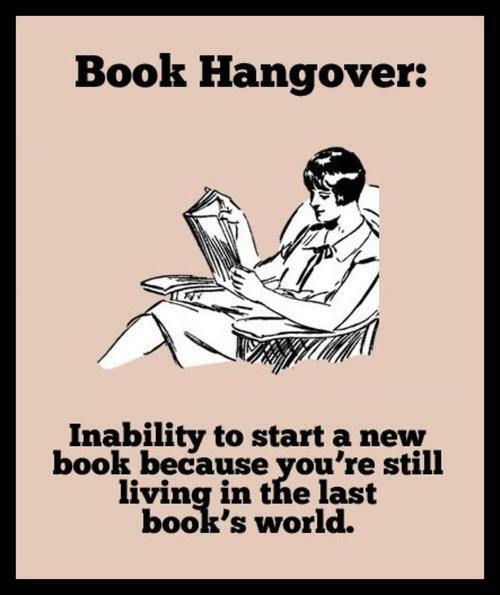 I finally started City of Lies last weekend and read more than half of it. I haven't been able to read it during the week, and I plan to finish it this weekend. Then I have a couple books I want to get for my travel up to Alaska. That book sounds good! You'll probably have a lot of time to read and relax on the cruise. How fun for you and Holly - you guys have become really good friends, all thanks to blogging, right? I remember my son not caring about his dorm room stuff, and me REALLY CARING. It was brought home during parent/student orientation when the speaker said "students, let your mother make up your bed - it makes her feel better when she leaves you behind" - and that was so true. I so can't wait for the water-skiing action! Unfortunately I feel like I never have the time to read but I wish I did. I love to read--even though I'm busy, I always find time. That's what we do with the things we love, right? I don't think you can ever really keep things fair. My brother always complains that I got stuff he didn't (I'm the baby, he's the middle child) -- OTOH, *I* didn't have a car during college (but I did as a junior & senior in HS, one of the things he complained about. Anyhoo, I'm reading a book called "Blind Descent" at the moment. While I was walking around the airport in ID, I stopped in a coop store & struck up a conversation with the woman there, and she told me about this story. I've always been fascinated by Everest, so of course I'm reading it! I have zero desire to climb Everest, but I always thought getting to base camp might be pretty cool. Now I'm thinking not so much, I'll just continue to read about it! Enjoy your water skiing & time with Hoho. I love reading books about adventuring and I may need to pick that one up! I would have passed on that as well! That just stinks about the phone. Darn wind! It was the flukiest thing! Ha! I have this imagine of Matthew sleeping in his roommate's bed! Nice of you to notice the mug! I was so pleased with how it turned out. How great to be spending the weekend with Holly! I dragged my son to BBB for dorm room-shopping. I hate picking things out for other people! LOL on the teenager mini golf debate. I think I would be stressed out reading either of those first two books. What did happen? Well, I can't spoil the details on those books--I'm kind of glad I stuck with them even though I hated all the characters. Thank goodness I found a book that was pleasant for after. My MIL had a "flea market" as she called it last week where we were invited into her new garage and offered all the crap she'd moved from NC and realized didn't fit/she didn't want in the new house. She insisted Maddie take all kinds of really old quilts/bedding whathaveyou. This stuff has to be over 20 yrs old cuz I don't remember her ever using it. Bless her heart, Maddie shut her down cold and told her we'd buy new stuff where she decided to go to school instead of dragging stuff. Ha! Maddie sounds like she learned a few things from her mama! It has been a long time since I helped to decorate a dorm room, but I remember my boys not really caring about how their rooms looked too much. So you will now be an empty nester? I cried for about 10 minutes, then I loved it! The freedom is wonderful. A waterskiing vacation in Alabama? Sounds like fun! My oldest is still living at home, so we're not empty nesters yet. I'm not looking forward to that day! I'm waiting for my son to come home from camp so we can take care of the dorm shopping - he really has no interest but I'm dragging him along LOL. 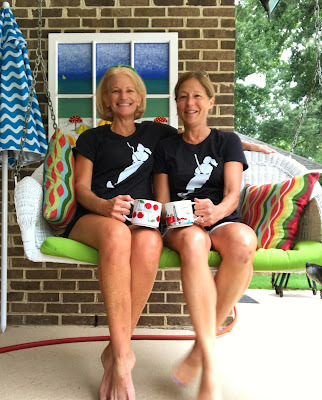 It's great that you and Holly are hanging out this weekend - are those matching waterskiing shirts you're wearing? Have fun! Yes, I found those shirts on Amazon of all places! I was so excited! 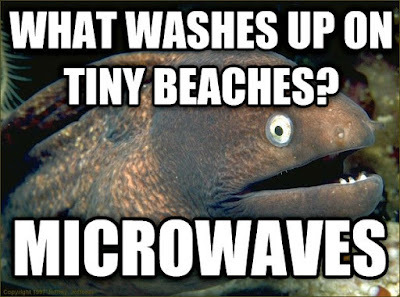 hahaha, I love corny jokes. 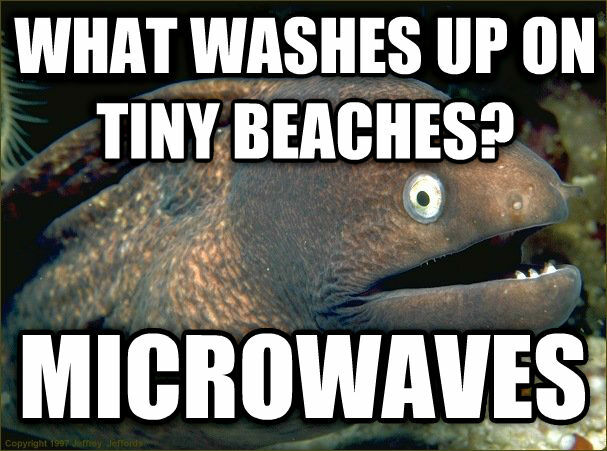 :P I'm gonna have to share the microwaves one with someone, hahaha. 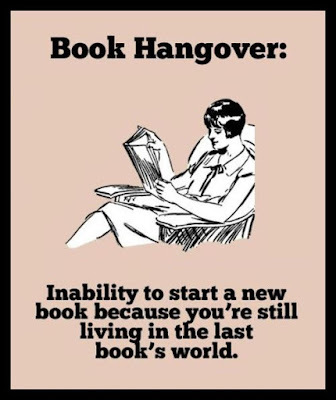 I have a hard time finishing books where I don't like any of the characters, but sometimes just wanting to know what ended up happening is enough to make me power through! That's a cool looking storm! I'm a huge weather buff having grown up on a farm (you've gotta know what's going on weather wise before cutting down hay, etc.). Have a great weekend and have fun water skiing with Holly! I know you and Holly are having a blast this weekend and I'm jealous of all the wine sipping and girl talk happening on the patio! Have fun and safe travels back to Chicago! Your cloud picture is awesome. What crazy weather! 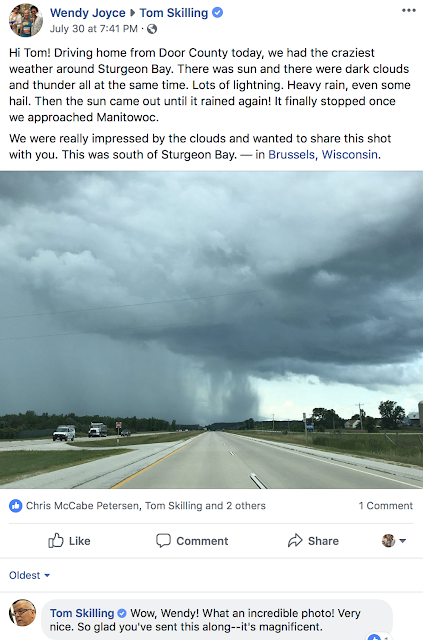 It's cool that your local weatherman shared your picture. Oh I forgot to tell you! The afternoon after brunch, I came home and Baby Teeth popped up as an add on my kindle!